Square Enix doesn't have a new spin-off in the works called Type-0, it just came up with a new name for Agito. At Square Enix's 1st Production Department Premiere, the mystery surrounding the company's trademark registrations for Final Fantasy "Types" was solved. As it turns out, Square Enix only wanted to rename the PSP's upcoming Final Fantasy Agito XIII. Agito XIII is now called Final Fantasy Type-0 because Square Enix feels it's an entirely new Final Fantasy game, and doesn't have much to do with Final Fantasy XIII. However, it is still considered to be part of the Fabula Nova Crystallis series of titles. Square wants to develop Type-0 into a franchise, which makes sense considering it's already trademarked logos for Type-1, Type-2, and Type-3 too. There are apparently more than 30 speaking characters in the game, requiring quite a bit of voice recording. Because of aspects such as this, Final Fantasy Type-0 will be too big for one UMD and will ship on two instead. Type-0 will be a single player game with multiplayer features, creating something Square hopes is unique. 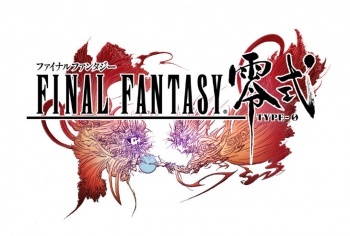 Type-0 will see a Japanese release in summer 2011.